Although treatment for Post-Traumatic Stress Disorder (PTSD) is a well-established component in the mental health scene, there are still popular and even professional misconceptions about what the term means and which symptoms it actually exhibits. There is also a lack of understanding on the best methods to resolve PTSD attributes in patients. Here are 5 things people may not know about PTSD that we’re clearing up today. Although treatment for Post-Traumatic Stress Disorder (PTSD) is a well-established component in the mental health scene, there are still a number of popular and even professional misconceptions. 1. PTSD is a subcategory of the broader category of Anxiety Disorders. According to the Diagnostic and Statistical Manual of Mental Disorders (DSM), PTSD is one of a large number of disorders or traits falling under the broad-based category of “Anxiety.” In general, anxiety is characterized as having symptoms of terror, panic, agitation, unease and/or intrusive thoughts in spite of an individual’s removal from a traumatic situation. This is caused by an overactive sympathetic nervous system and the brain’s instinctual “fight or flight” response. Those with PTSD experience a hyper-activation of this fight or flight response that does not resolve itself in a normal or timely manner due to having experienced extraordinary trauma. 2. The possibility of PTSD varies widely from person to person. The clinical experience of PTSD treatment reveals that the probability of exhibiting PTSD-like symptoms following a traumatic event varies widely from person to person. For those in the recovery community, there are a number of correlations between those individuals already pre-disposed to alcohol and substance abuse and PTSD. In essence, existing medical literature supports the idea that there is something about the mind and personality of the addict or alcoholic to begin with, which when augmented by a coping method involving alcohol or drugs, only exacerbates the observable problems associated with PTSD, such as impulsiveness, hostility, emotional instability and difficulty maintaining balanced intrapersonal and interpersonal functioning. 3. PTSD is not well-defined from a clinical perspective. 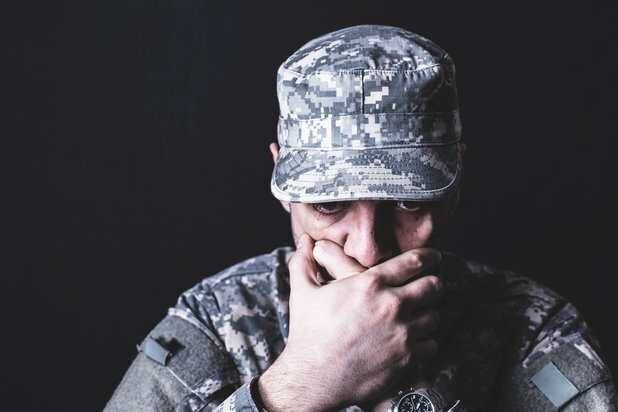 A common misunderstanding is that PTSD only affects individuals who’ve undergone immediate, one-time, highly traumatic events such as war experiences, being a crime victim, or traumatic accidents. While these are all relevant examples of potential causes of PTSD, the reality is that most individuals do not have to be forced into an acute stress situation to develop PTSD. Trauma of a lesser degree occurring and compounding itself over a long period of time—such as in abusive relationships or long-term drug and alcohol addiction—can still result in PTSD-like responses due to a chronic stress reaction but simply don’t meet the DSM criteria. Unfortunately for such patients, treatment recommendations usually geared towards those with wartime and crime-related experiences may not be as helpful. 4. There is another form of PTSD called Complex PTSD. Complex PTSD (C-PTSD) is one form of PTSD is fairly prevalent in those with substance abuse issues and whose defining characteristics include chronic, repetitive and occasionally multifaceted traumas overwhelming the psycho-emotional coping capabilities of the patient. People with C-PTSD have experienced long-term exposure to insecurity or danger, in terms of interpersonal relationships and the intrapersonal sense of self, which leaves the individual with the perception that escape is not possible. In terms of addiction, this easily makes sense as escape and true security really isn’t possible until recovery starts. In short, C-PTSD patients rely too much on emotion-based coping position, while traditional PTSD patients exhibit an avoidance-based coping position. Both complex and traditional cases are at odds with each other, to say the least, and require drastically different treatment approaches. 5. PTSD will always require personalized recovery. In reality, categorizing PTSD is almost irrelevant as each and every case is a highly personal response to a traumatic series of events that are involuntarily defined by the patient’s mind. Treatment, in whatever capacity or form, must take into account the details and minutiae of the life and experiences of the patient to even begin to grasp why a given event or series of events proves traumatic even after the fact. Recovery from any form of PTSD must also be a case-specific and patient-focused. In order for recovery to truly be possible, it’s important to decipher how to approach treatment from a psychological and medical perspective, which will also have to be reinforced with long-term care and support. 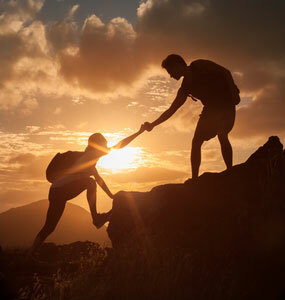 If you or someone you know is seeking professional help for PTSD, please visit our directory of counseling and therapy centers or call 866-606-0182 to start the path to recovery today.